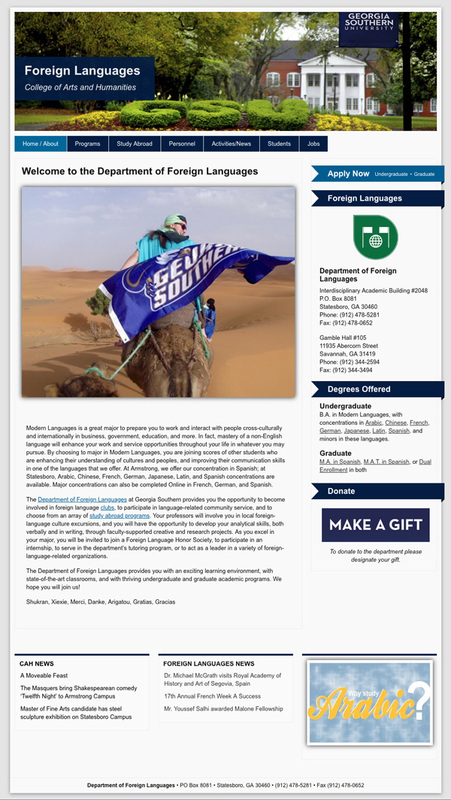 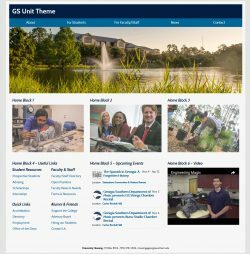 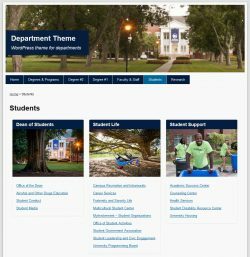 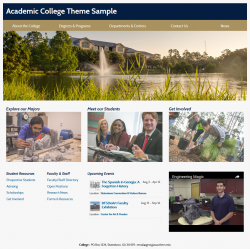 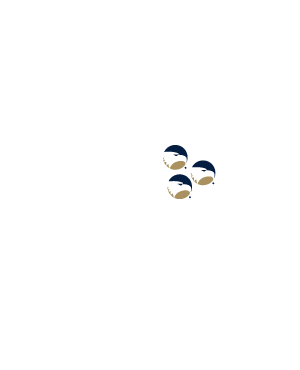 Georgia Southern has several WordPress themes for use by academic colleges and departments as well as non-academic units. 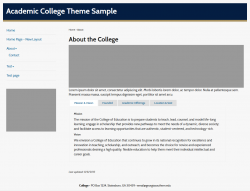 View the screenshots below to determine which theme your site uses. 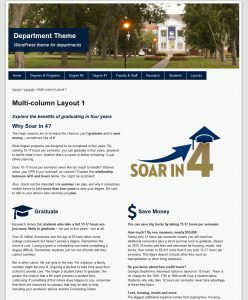 For both academic and administrative department websites.